Samsung Galaxy S2 was released in April 2011, and by then it was definitely surpassed by stronger devices such as the Galaxy S3, Samsung Note, Note 2 and others. Still, it remains an important device in the Android community. If you want to learn more about it you can read all the information below. You can also suggest something to use by posting in the comment section. 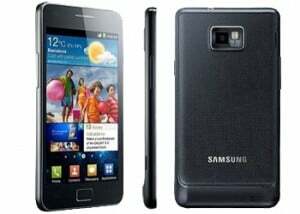 If you want to find out the Product Code of your Galaxy S2 then dial *2767*4387264636# on the keypad. This can be useful if you want to manual update your phone using Kies, or for other installations. Wait for the Samsung Logo to appear. When it does, release the buttons fast for a split second and repress them once more. The menu in Recovery Mode is accessed using the Volume keys. Rooting is a procedure that gives applications on your device “root”, elevated permission. This is a procedure that usually enhances more advanced users, not newbies or regular users. Usually rooting is needed to install a Custom ROM. IF YOU WANT TO UNROOT your Galaxy S2 device after performing this root, download SU-Uninstaller-Signed.zip and follow the exact same steps as above. Unrooting can be useful if you want to recover warranty or if you want to flash a stock ROM etc.